From July 21-28, 2013, Womai.com collaborated with ATO Shanghai in holding an offline American food festival at Joy City, a popular shopping mall in Shanghai. The Director of ATO Shanghai, as well as managers from Womai.com and Joy City, delivered remarks at the opening ceremony on July 21 which was attended by approximately 20 members of the media. During the promotion, CMC China along with 10 other American associations and companies stationed booths in the mall with product samples and educational materials. Many visitors that tasted the dried cranberry and cranberry juice samples ended up purchasing cranberry products. 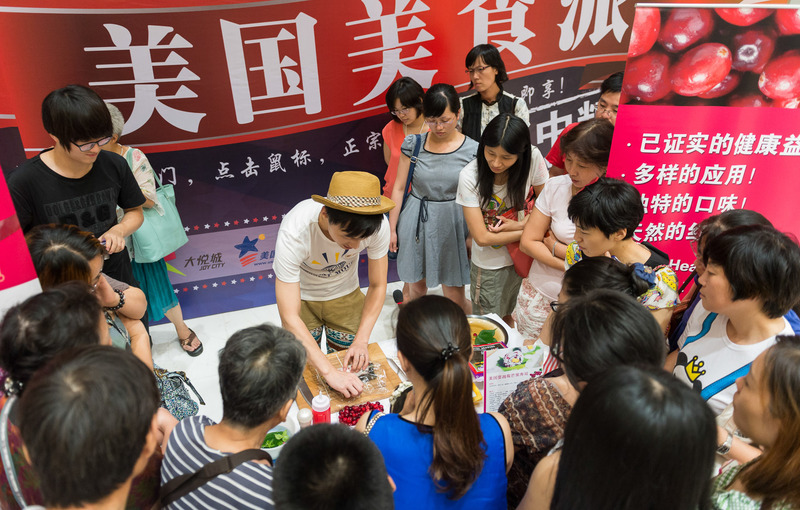 On the final day of the promotion, Mr. Yufei, a famous food blogger with 27,944 followers, held an event in which participants learned how to make cranberry sushi. At the end of the class, Mr. Yufei awarded cranberry product gifts to the teams that made the best cranberry sushi. 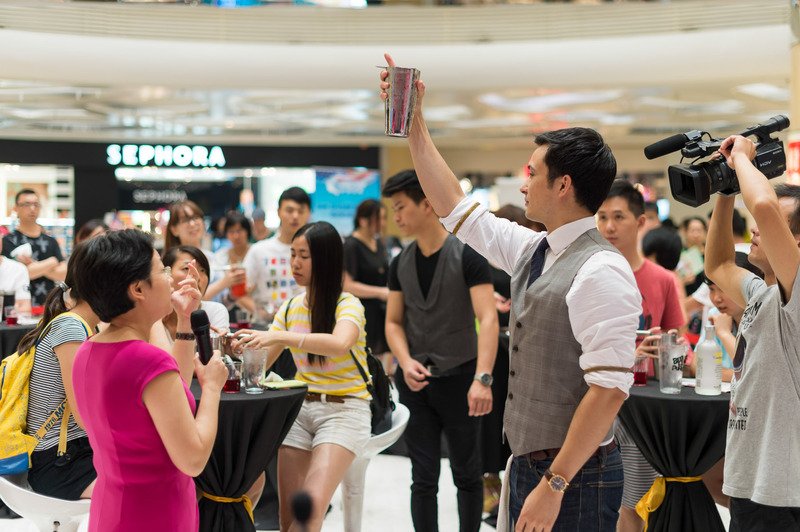 CMC China also arranged for one of Shanghai’s top bartenders to conduct a cranberry cocktail class in which participants learned how to make Cosmopolitans and Cranberry Bucks. During the promotion, CMC China also set up a QR board with a mobile mini-game in which consumers can learn the key health benefits of U.S. cranberries. By scanning the QR code, visitors became followers of CMC’s Weibo and Weixin accounts, and were rewarded with a cranberry sample pack.